The Trending Adobe Muse Templates Bundle includes 30 Different and Unique Adobe Muse Templates. 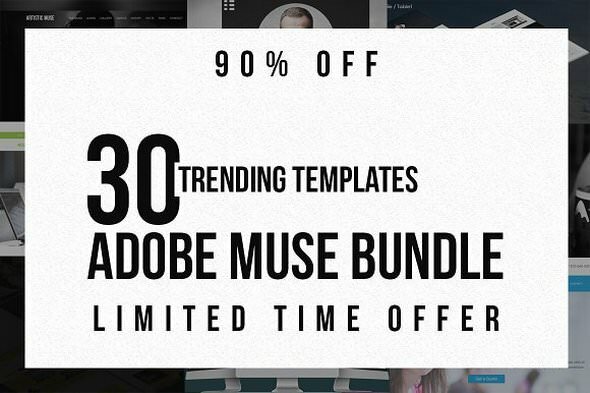 You can get 30 Adobe Muse Templates for just $39 instead of $450. So you will save 90% by buying this bundle. We have included html files as well.